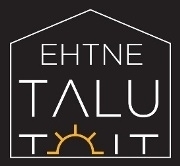 Real Farm Food (Ehtne talutoit) label symbolizes natural, fresh and tasty products. The label was established upon the initiative of Estonian Farmers Federation. If you see this label on a packaging, you can be sure that it is a natural, farm-grown and farm-made product. If you see the label on a store shelf or door, you know that this is a place where you can purchase real farm food. If you see this label on a road sign, know that it will lead you to a farm where the natural food is produced and sold.